When it comes to buying—as opposed to borrowing—books, my bar is pretty high. 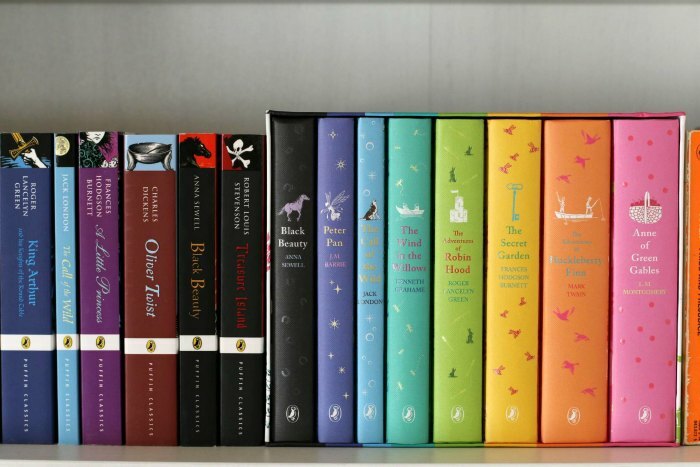 But in the past two years or so I’ve gone a little nuts filling our home shelves with wonderful, beautiful classics. I want my kids to have easy access to the good stuff, but let’s be honest: these books are also for me. 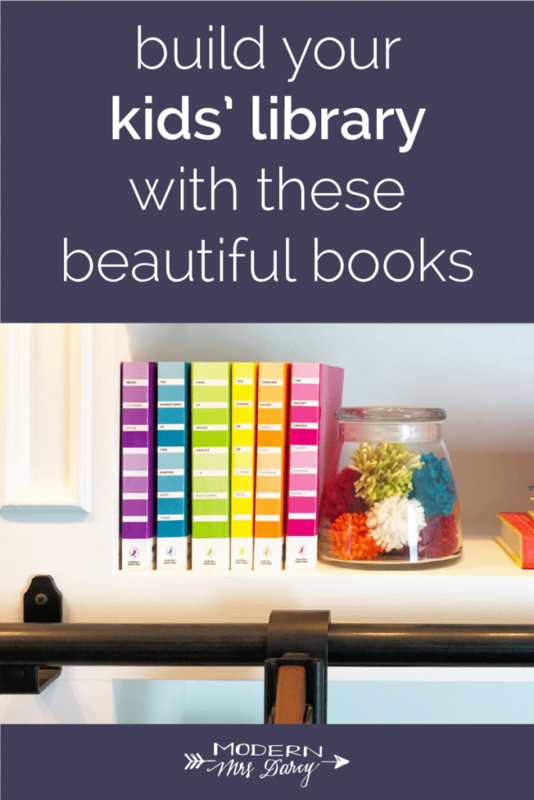 Today I’m sharing my favorites—the ones sitting on our family bookshelves right now. Puffin Classics paperbacks. These appear in my Instagram feed on a regular basis and I always get asked about them. They are Puffin Classics paperbacks from Penguin’s Young Readers collection, and you’ll find them on the spinning racks at bookstores and libraries everywhere. A few years ago someone gifted me the 16 book set shown above (only $50!). Additional titles are available for $5-$6 each. The newer Puffin Chalk series is also beautiful (but a little pricier). Puffin Young readers hardcover classics. Another frequent star on Instagram (and my kids’ nightstands). 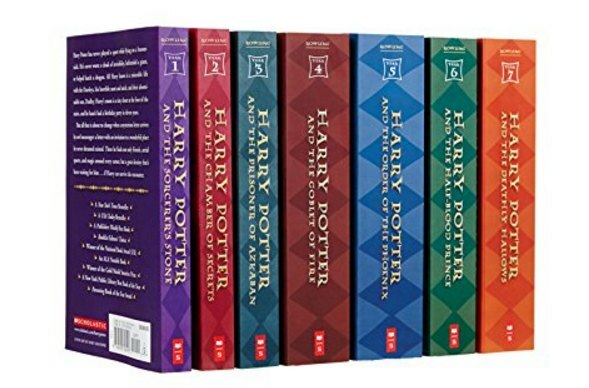 The box sets include 6-10 titles (shown on the right above), depending on the merchant. Titles can be purchased individually: we recently added to our box set with Matilda and The Wizard of Oz. 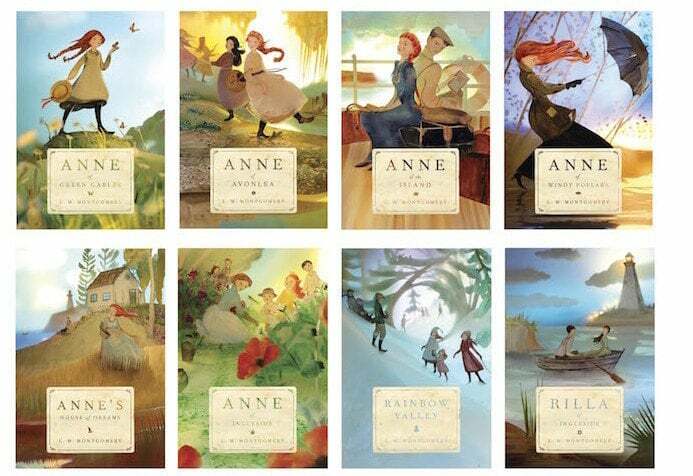 The Anne of Green Gables collection. There are so many phenomenal additions to choose from, in hardcover and paperback. We have 6 copies of Anne of Green Gables, including the Tundra Books paperback editions (above) I purchased as a Christmas gift for myself. Puffin in Bloom collection. I keep beating this drum because they really are that good, and a great value, besides. I’m sorry to say I’m a little disappointed in Alice in Wonderland, the newest addition to the collection, only because it doesn’t play nicely with the others. I thought I could slip it onto my shelves with the other Puffin in Bloom titles, but was surprised to discover it’s much larger than its sisters. The cover is 8×10; the covers on the first four are closer to 5×7. The Mother Daughter Book Club. My daughters have read every title at least 5 times. For my own girls, the peak Mother Daughter Book Club years were 8-10. I tracked down old hardbacks because I thought they were pretty, but the paperback box set is also attractive (and cheap). In every book, the club reads through one classic together. 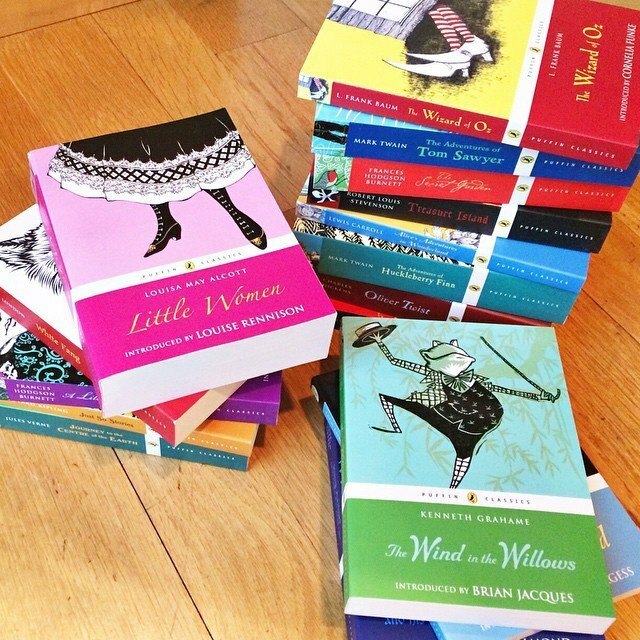 I love the idea of giving the accompanying classics to older readers along with the box set (e.g., a beautiful edition of Jane Eyre for Wish You Were Eyre, Pride and Prejudice for Pies and Prejudice). 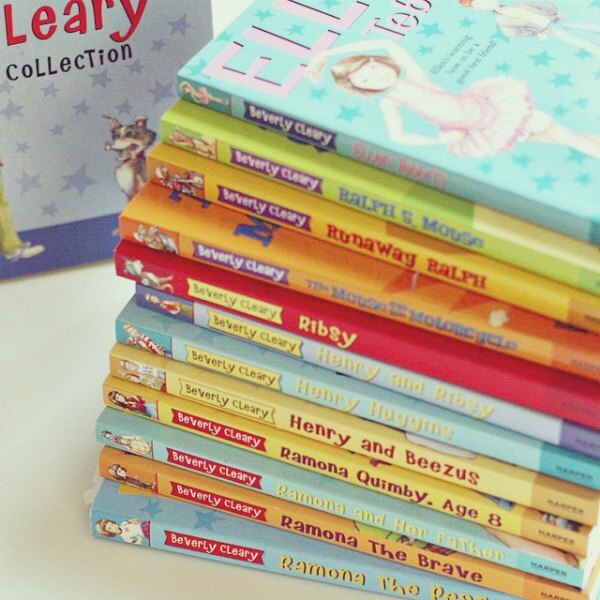 The Beverly Cleary collection. My whole family loves Beverly Cleary. 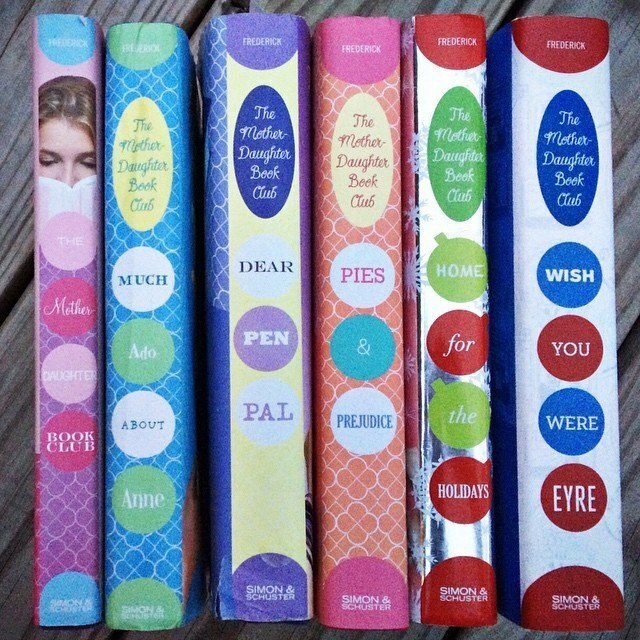 We gave Lucy (age 6 at the time) a paperback box set a couple of years ago and every kid in my family has read these books at least 3 times each. The Harry Potter series. Maybe every kid in America has a set by now, but a back-up isn’t a bad idea because they tend to be much loved. Take your pick of several beautiful formats. The Chronicles of Narnia. 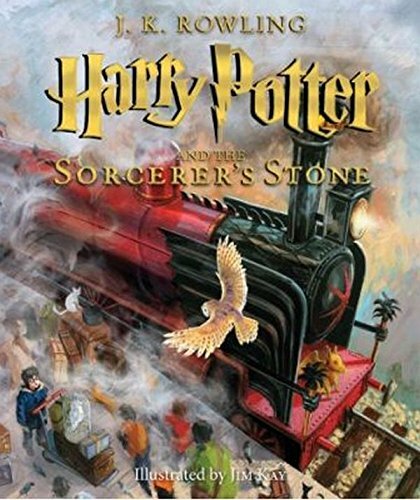 It seems like this set’s place under the Christmas tree has been usurped by Harry, but this beloved fantasy series deserves a place in every family’s library. Puffin and Pantone. 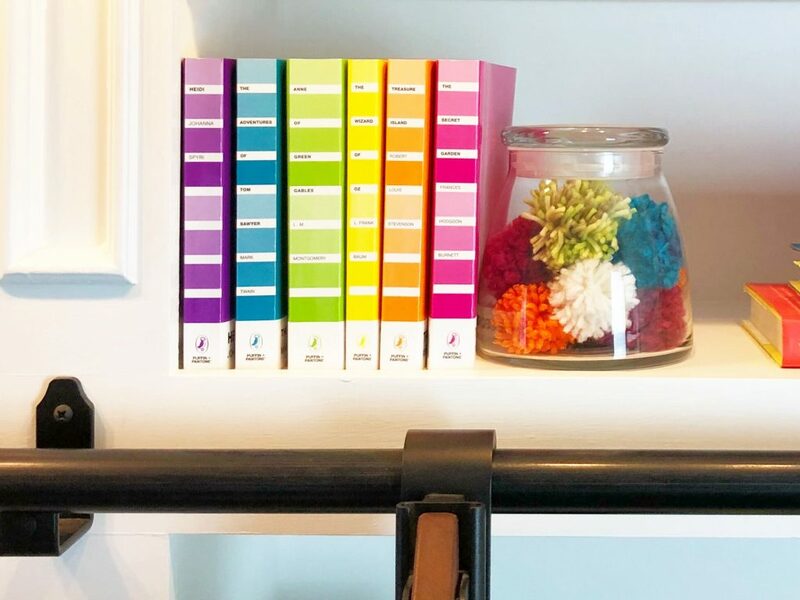 If you have a design nerd and book nerd in your life, these are the editions for you. I can’t resist the bright colors, especially the teal of The Adventures of Tom Sawyer. P.S. 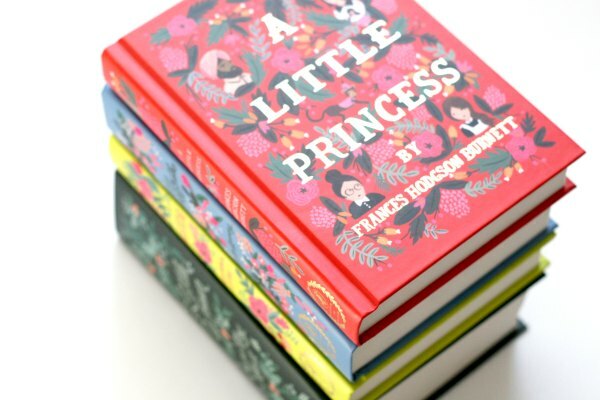 The 2018 gift guide for book lovers, and 25 great gifts for book-loving kids. 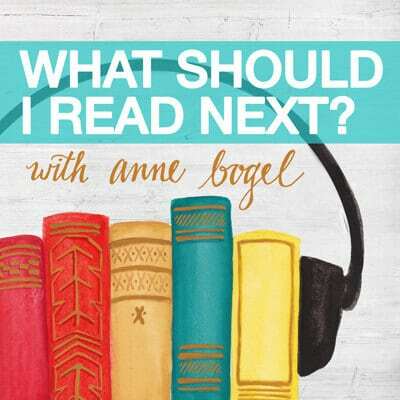 Since you and your family love Heather Vogel Frederick’s “Mother-Daughter Book Club” series, I recommend her mysteries about a young sleuth, Truly Lovejoy, and her friends in New Hampshire. “Yours Truly” teaches about friendship and maple syrup Madness. Boys and girls solve the contemporary and the historical mystery together. 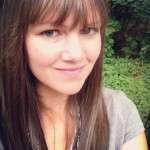 Any recommendations on board books for kids under a yr? Get the board books of Good Day, Carl! Our favorites! I have four little kids and many favourite board books: LMNO Peas, Sheep in a Jeep, Ten Little Fingers and Ten Little Toes, Jamberry, Sneak-a-Peek: Colors, Peepo, Dear Zoo, Clip-Clop, Little Blue Truck, Who Can? It’s hard to narrow down the list! Anything by Sandra Boynton is definitely worthwhile. Eric Carle has many good choices too. I also really like Little Blue Truck. National Geographic also has board books for kids that are a great entrance to nonfiction reading. I second the recommendation of Sandra Boynton! The board books of hers we have are our family’s favorites by far! Also, Carl books were mentioned above and are wonderfully open ended because there aren’t usually a lot of words to read. And Jamberry is wonderful, especially read aloud! Oh yes, how could I forget Sandra Boynton? Kids love them! My son loves the Dr Seuss board books, Pete the Cat, Bear Snores On, Goodnight Moon, Brown Bear, Brown Bear, What Do You See?, and Where’s Spot? 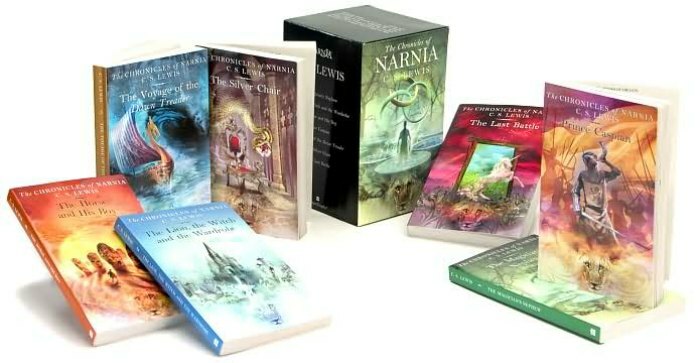 I highly recommend searching out an old set of the Narnia books because they are presented in the order that they were written and published. The decision to re-order the series was made by recent publishers rather than CS Lewis. Here, here! There’s a discussion of this in the Wikipedia entry for the Chronicles of Narnia… (see sub-heading “Reading Order”). Until I worked in the library I had never heard of The Prairie,Anne Of Green Gables books. A librarian introduced them to me. As a child I was a reader. Everyone said if your looking for Joan ,you will find her with her nose in a book. Any of the books by Jan Brett. The illustrations are beautiful. All of the horse books by Marguerite Henry were also a favorite. 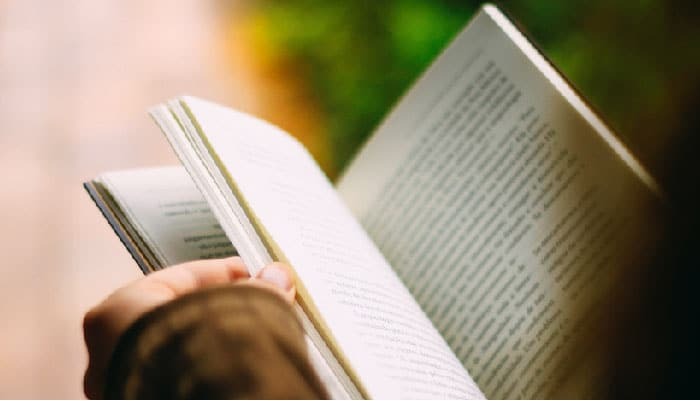 Thank You for this lovely and versatile list of books. 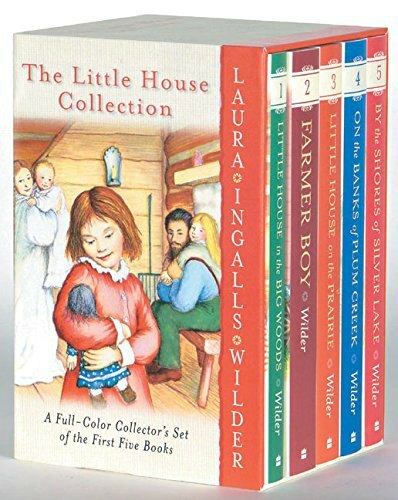 I did not discover The Little House On The Prairie books, Anne of Green Gable or the Betsy Tacy series until I was an adult. I now enjoy reading children’s books from time to time. Lucy Maud Montgomery’s other less popular series are also great, Emma,Pat of Silver Bush and Marigold,which is not a series. Wishing you and yours a Blessed Thanksgiving. My guilty pleasure is the original Baby Sitters Club series (maybe when your girls are a bit older?). All of the 90s copies are a bit battered and worn now, but there’s something so comforting and nostalgic about them. I’ve also been listening to The Babysitters Club Club podcast where they read through them one at a time, and it’s been giving me so many laughs! What a great list! I would add James Herriot’s children’s picture books for any child who loves animals! Love all of these recommendations! I would also add Mildred Taylor’s series of books (the best known being Roll of Thunder, Hear My Cry), Brian Selznick’s books (The Invention of Hugo Cabret, Wonderstruck, and Marvels are all visually beautiful and tell compelling stories), and Roald Dahl’s box set of books. I’m seeing a beautiful collection at Barnes & Noble, their collector’s edition. On sale today for 20% off. Also probably going to grab the Roald Dahl boxed set at Costco. SO MANY BOOKS WILL BE APPEARING AT MY HOUSE I CANNOT WAIIIIIIIIIT!